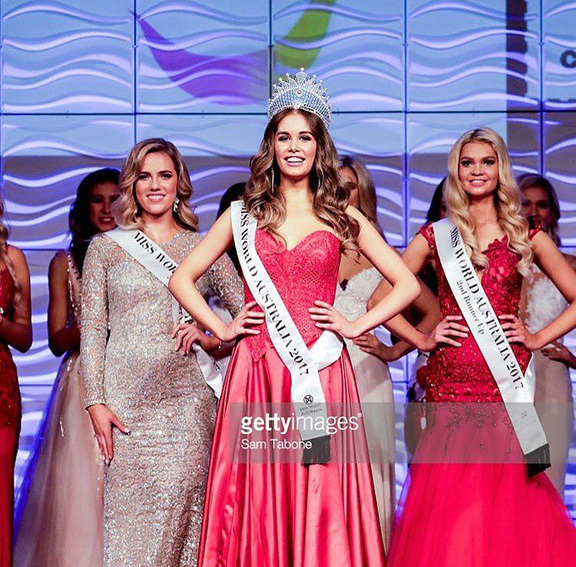 Esma Voloder, a 25-year-old model and college graduate from Melbourne, was crowned Miss World Australia 2017 on July 14 at the Grand Hyatt Melbourne. The first runner-up is Amy-Lee Dixon of Western Australia and the second runner-up is La'Ace De Vries of Queensland. Voloder will now represent Australia in Miss World 2017 pageant to be held in Sanya, China in November. Voloder, who was born in Austria and of Bosnian descent, was last year's first runner-up at the national pageant. She had also competed in Miss Supranational where she placed in the top ten.